Occasionally I dig through my old slides and find something "new". Kodachrome did not handle shadows well, and some of the old "rejects" can be greatly improved with a trip through Photoshop where shadows can be lightened up. Some times it is amazing how much detail is hidden in those shadows. Here are a couple recent "discoveries". 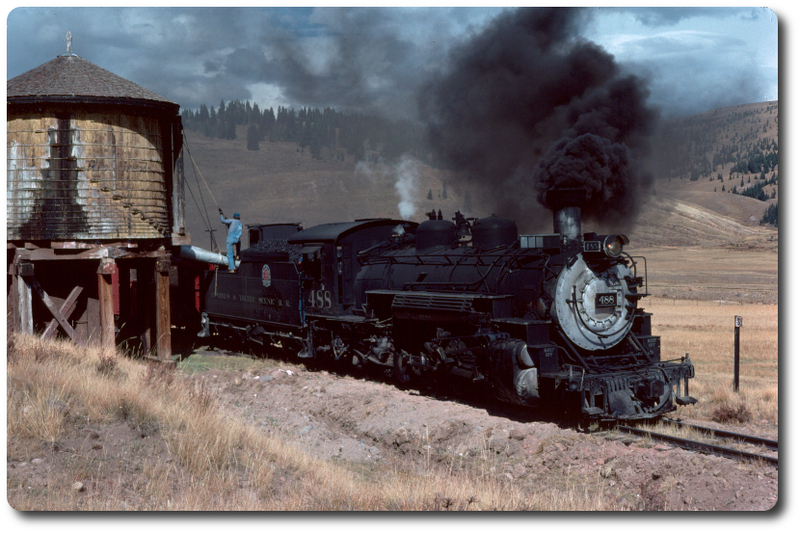 The first is rounding Windy Point with a Cumbres turn in July 1963. 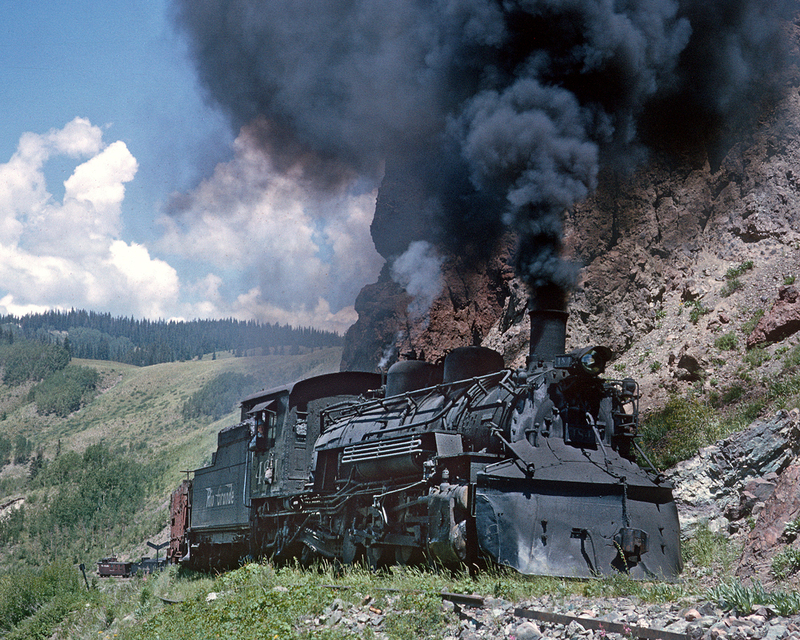 And here are the 497 and 487 climbing Bocea Hill out of Durango on an overcast day in August 1967. 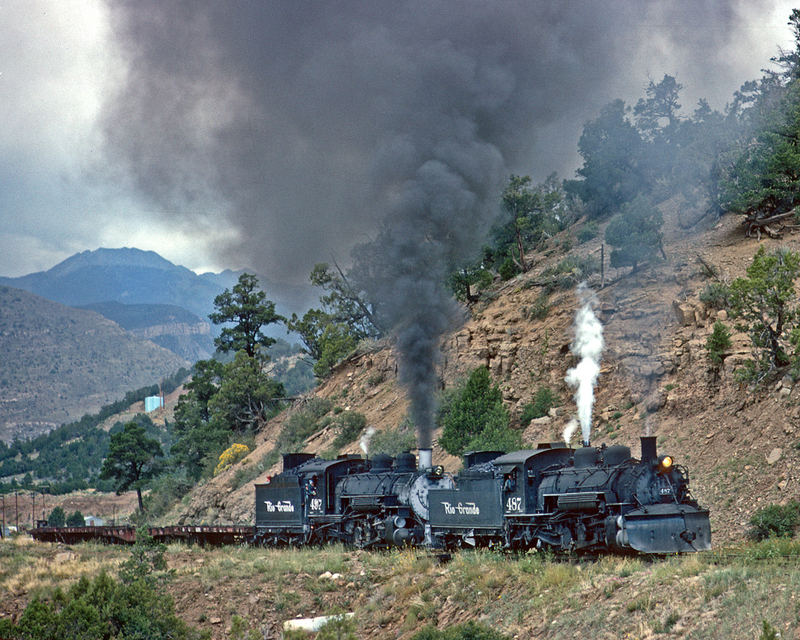 The 487 would go as far as Falfa before cutting off and drifting back to Durango, while the 497 went through to Chama. Re: No detail is too trivial.....I'm Thirsty. Re: No detail is too trivial . . . I'm Hungry! Re: No detail is too trivial . . . I'm Thirsty. Re: The good old days . . .